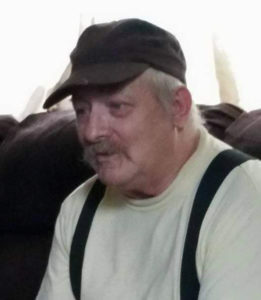 Dennis John Peters, age 68, of Grand Marsh, Wisconsin died Monday, November 5, 2018 at home in Grand Marsh, Wisconsin following a house fire. Memorial Gathering will be 12 Noon to 2 p.m. on Saturday, November 17, 2018 at the Roseberry’s Funeral Home in Friendship, Wisconsin. Interment will be at the White Creek Cemetery, Town of Easton, Adams County, Wisconsin. Dennis was born July 11, 1950 in Lime Springs, Iowa to Clarence A. and Sylvia A. (Blossifield) Peters. He married Ann Marie Smith on May 23, 1975 in Woodstock, IL. They made their home in Sharon, Wisconsin before moving to Richland Center, and eventually Adams in 2000. Dennis worked as a truck driver and Brakebush Brothers in Westfield. He retired in 2005. Dennis enjoyed fishing, working on his tractors, playing cards, and spending time with his family. Dennis was preceded in death by his parents, Clarence and Sylvia Peters; sister, Veronica Scullin; brothers: Brian Peters, LeRoy Peters, and Fred Dye. My sincere condolences to your family. May you find comfort in Psalm 34:18 “Jehovah is close to the brokenhearted. He saves those who are crushed in spirit” Our heavenly Father does not leave us without hope of seeing our love ones again. Acts 24 :15 assures us “There is going to be a resurrection.” May your warm memories also give you strength to endure these difficult times. With Deep Sympathy.